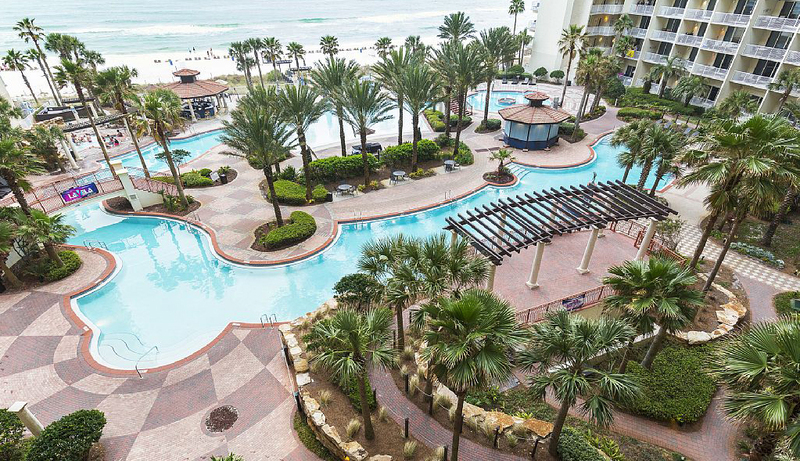 So, you’ve decided you want to vacation at Shores of Panama…the nicest tropical setting beach resort in Panama City Beach. Now the decision is which unit do you stay in? 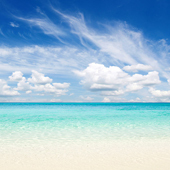 Like all beach resorts or large hotels, there rooms with good views and not-so-good views, rooms convenient to get to and rooms “way down the corridors”, rooms up high and down low, rooms that are nicely decorated and those that are stark and prices that vary from room to room. 1) We have very competitive pricing on our unit. 2) Our unit faces southwest which gives you sun until dusk with magnificent sunset views. 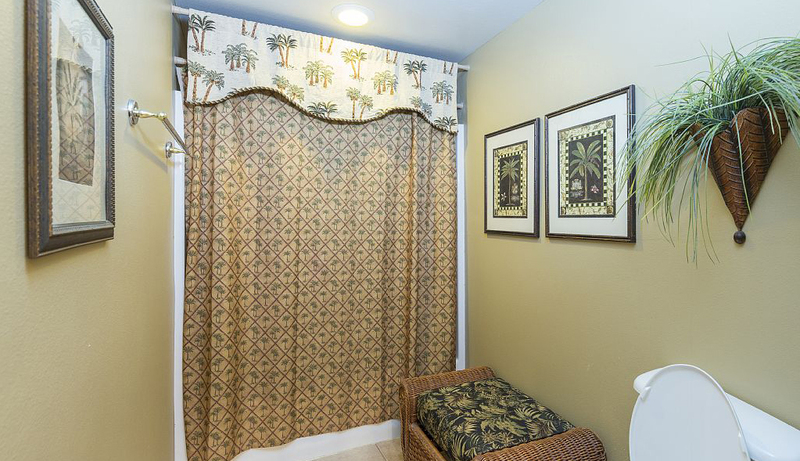 4) The unit is on the 6th floor…high enough to be above the palm trees but low enough to give you great views of the tropical pool while sitting on the deck and in the Living Rm or Kitchen. 5) Reserved parking on same level as unit with parking space right at the door. No elevators! 6) We are the second unit inside the building from the garage. Very convenient for loading and unloading your vehicle, also when getting groceries, or out to eat no waiting on elevators!!! 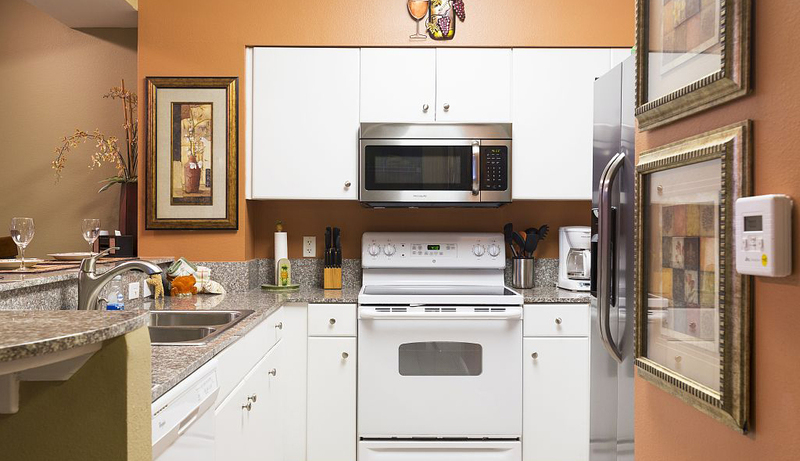 7) Unit is nicely decorated, has upgraded mattresses and a well equipped kitchen. 8) Bunkie area has a door to close it off from the living room for privacy and quiet. 9) The unit is between 2 sets of elevators (total 4) making it convenient when going to pool or beach. 10) We, as owners, are responsive to your needs and will have everything organized to make your arrival, stay and departure most enjoyable. NOT all units are equal! 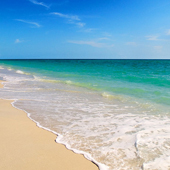 Be sure you know what you are getting when you commit to your vacation at Shores of Panama. This Magnificent Caribbean Style Resort over looks the emerald waters of the Gulf of Mexico. Shores of Panama has the most spectacular Lagoon style pools with waterfalls, fountains, 2 Tiki bars and huge outdoor star shaped hot tub, surrounded by exotic tropical landscaping. 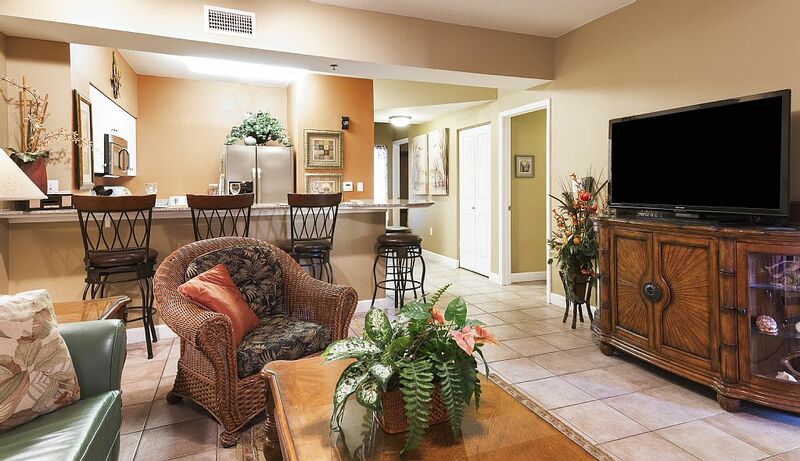 In addition to the outdoor tropical pool there is a large indoor heated pool and hot tub. 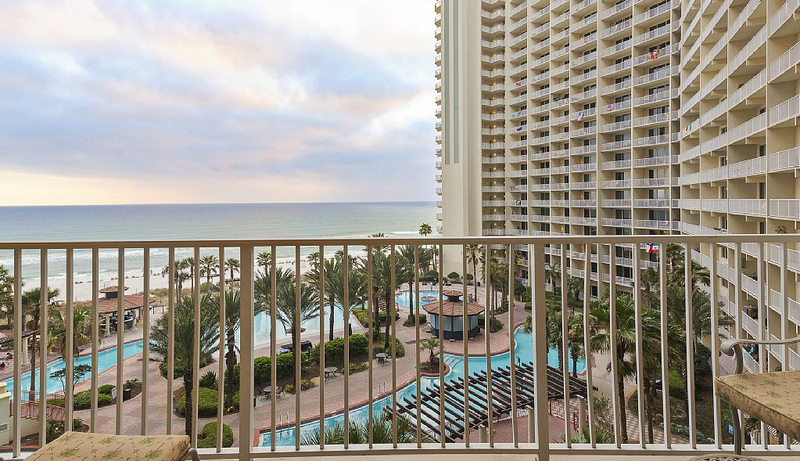 This Gulf Front Condominium is located on the 6th floor and has private covered parking on the 6th floor just a very short walk to this unit without having to use stairs or elevators. 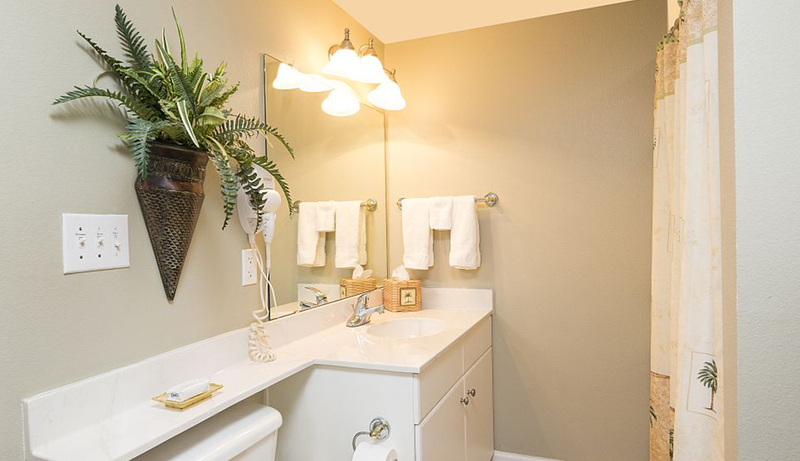 This unit is beautifully furnished and decorated. 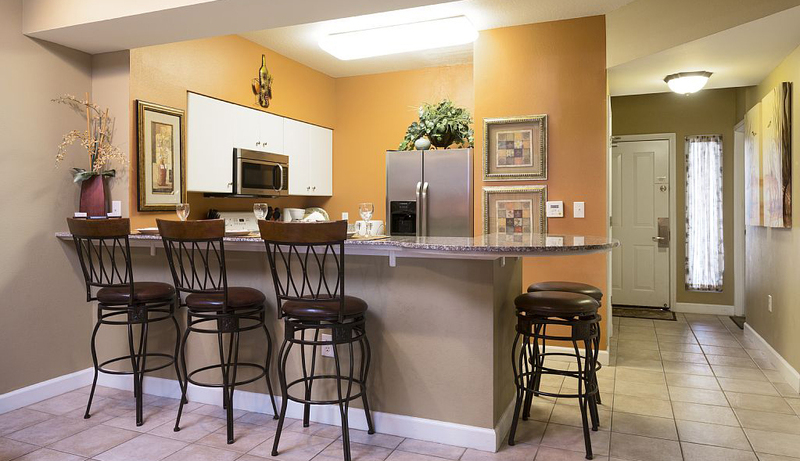 The condo has granite counter tops in the kitchen, 9 foot ceilings, tile in living area, entry and bathrooms. Bathroom sinks and counter tops are cultured marble. Shores of Panama offers all the amenities including a outdoor 20,000 square foot lagoon-style pool with two tiki bars. A large indoor heated pool, sauna, spa, steam room, and fitness center. On site entertainment includes electronic game room, video bank, party and media room. Wireless Internet access in the lobby. LIVING ROOM has a queen sofa sleeper and a 50' Plasma TV, DVD/VCR. The flooring in the living room is tile. There are 3 additional chairs in the living room. 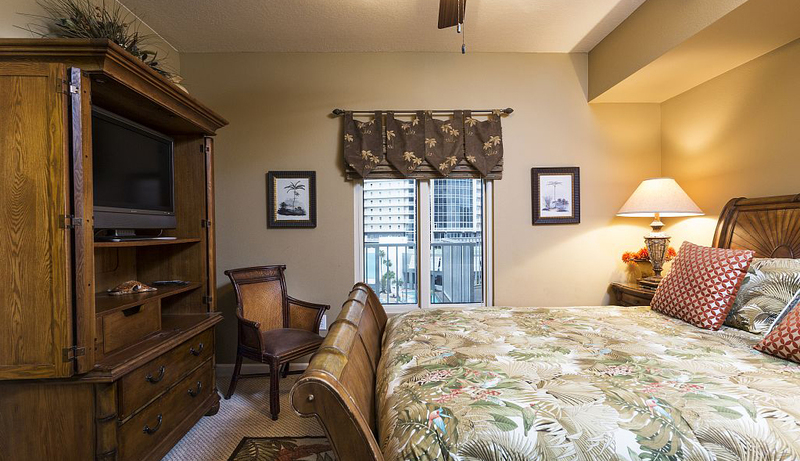 MASTER BEDROOM has a King size bed with private bath, 48' TV with DVD player. Mattress is upgraded and very comfortable. New Carpeting. Master bath off bedroom is tiled. 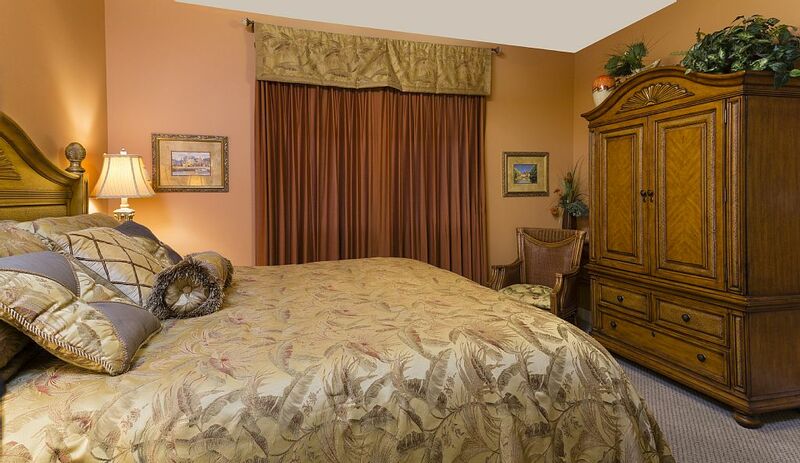 GUEST BEDROOM has a queen size bed with private bath, 32' flat screen TV with VCR player. Mattress is upgraded and very comfortable. New Carpeting in the bedroom and attached bathroom is tiled. BUNK AREA has 2 twin beds with a half bath. We have installed a door in the hallway with the bunk beds. 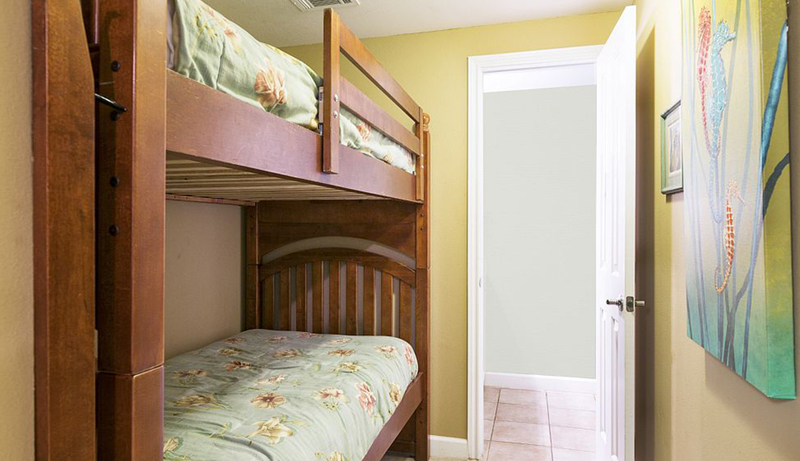 This gives privacy and less noise to children using the bunk beds. 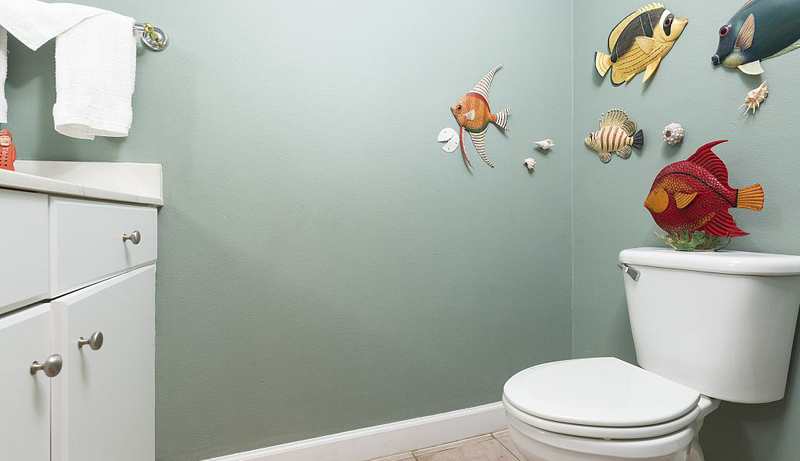 Also privacy for teenagers. It really makes this like a 3 bedroom unit! 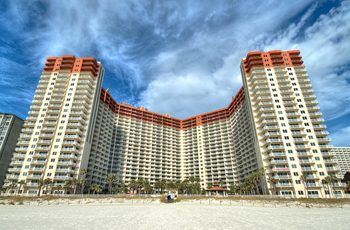 This condo is located in the heart of Panama City Beach adjacent to Pineapple Willie's. Many restaurants, beach shopping, drug store, mini-golf, Ripley's Museum, WalMart are all within a five minute walk from the condo. THE UNIT IS ON THE 6TH FLOOR WITH A RESERVED PARKING SPACE JUST A 20 SECOND WALK TO THE UNIT...NO STAIRSTEPS OR ELEVATOR. The unit is one of the best located in the complex because of its directional view of the gulf, morning shade on the balcony, afternoon sun and shade again in the late afternoon. 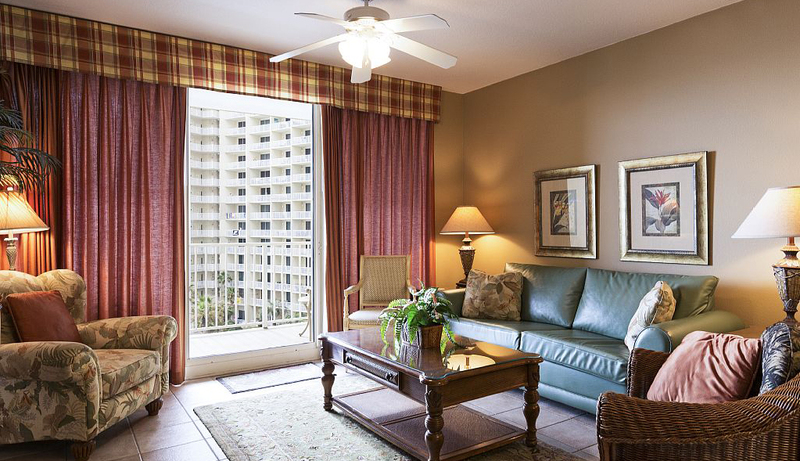 It is conveniently situated between 2 sets of the 3 sets of elevators in Shores. One of those elevators is in phase II and seldom used. Wifi is in the unit! Please do not let some of the reviews ruin your thoughts. WE loved everything about our stay.. This condo is very clean, very well maintained and absolutely beautiful..
Do not let some bad reviews at Shores keep you away, Condos are Privately owned here, The owners of this unit take pride in keeping their condo up clean, modern. This condo was amazing just as the info.we had a wonderful week at SOP 618 the parking was a huge plus, everything was clean and beautiful and what a view. Thanks for choosing to visit our property at Shores of Panama. 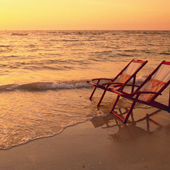 We are sure that you will love it and have an excellent vacation at Shores! If you have the dates in mind that you need feel free to call or drop us an email using the info below. You can also check our up to date calendar on VRBO below.To avoid addtitional rental fees, be sure to contact us directly when you're ready to book. Thanks again for letting us be a part of your beach vacation!